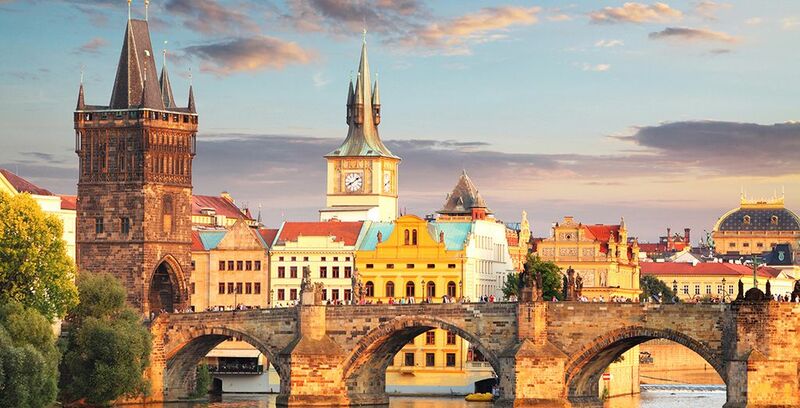 Hotels to Prague up to -70% off To take advantage of these offers, join now for free! Choose where to stay in Prague ✅ Discover its historical sites, monuments and museums. Book unique and luxurious accommodation at Voyage Prive. 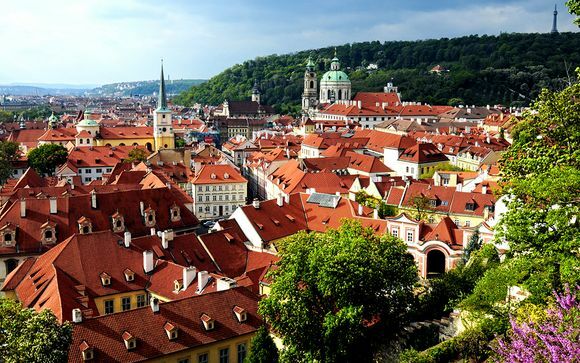 If you are planning a trip to Europe, the Czech Republic should be right at the top of your list. For many globetrotters, Prague is a popular choice. It's a destination that is scenic, magical, and affordable. The city itself has a certain type of old world charm and modern elegance. There is also much to see and do, which makes it a great place to spend a few days, weeks or even months! With a whole host of modern and traditional Prague hotels to choose from, you can expect your upcoming trip to be memorable. 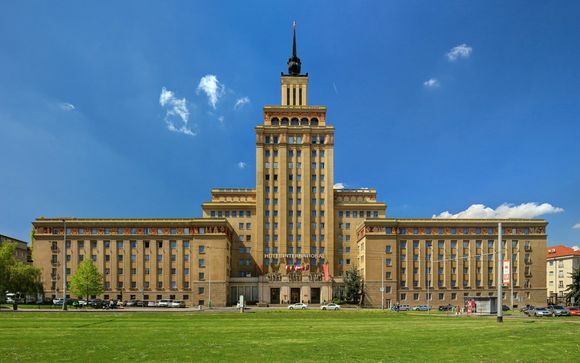 Prague hotel is for the art and antique lover. The hotel features turn-of-the-century paintings and vintage furnishings throughout. To the keen artist, it's obvious that the hotel's design and decor are reminiscent of art and furnishings of the early 20th century. Rooms are wood-panelled with angular patterns, brass fixtures, and glimmering, timeless chandeliers. The Plaza Alta is a 4-star eco-friendly hotel with modern elegance and tranquillity to boot. It is located in a quiet area, but a mere 10 minutes from the busy city centre. Its location places guests in perfect proximity to the top tourist attractions. The rooms are tastefully furnished and Wi-Fi is free. 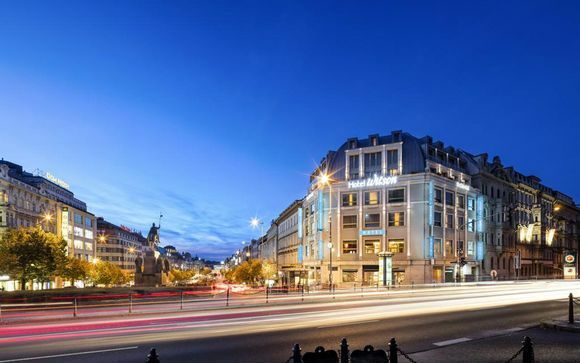 Just 2km from the historic city centre of Prague and its Gothic buildings, and just 4km from Prague Castle, lies the relaxed 4-star Ariston & Ariston Patio Prague hotel. Unassuming guest rooms are tastefully decorated and furnished. They also include free Wi-Fi, tea and coffee making area, and minibar. Pets are welcome by prior arrangement. Avant-garde accommodation is provided in this townhouse-style hotel. The hotel is conveniently located 1.8km from the Prague National Theatre, 2.3km from Charles Bridge, and a mere three-minute walk from the nearest public transport stop. Standard rooms are minimalist without compromising on comfort, while the guest suites are bigger with separate living rooms and pull-out sofas. 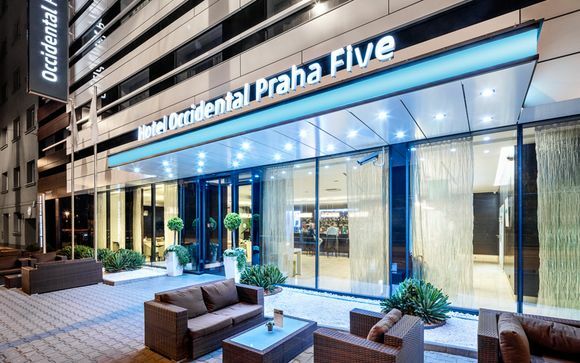 If you want to specifically explore the city centre, this Prague hotel is the place to stay. The hotel features two buildings with 440 rooms split between the two. A cable car system links the two buildings. From the top, there are magnificent views of the local park. Outside you can enjoy beautiful terraces, play some tennis or head to the onsite gym. While this 4-star hotel can be considered an imposing building, it is a contemporary space featuring comfortably decorated rooms with modern appeal. It is just 1.5km from Old Town Square and 1.6km from the Praha hlavní nádraží train station. The hotel boasts its own spa (with a hot tub), massage treatments and a sauna. Pets are allowed with prior arrangement and with a surcharge. Urban travelers find Mama Shelter somewhat of a sanctuary. It's a venue boasting immense character, stunning furnishings and a host of finer details and finishes aimed at creating a comfortable, luxurious stay for all guests. 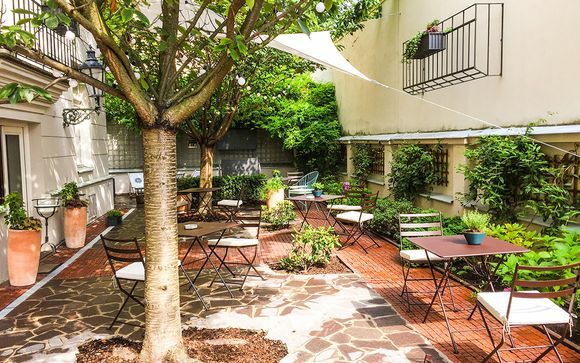 This Prague hotel offers a relaxed atmosphere, spacious outdoor terraces and "chill" areas, as well as a quirkily decorated restaurant, bar, and movie area. 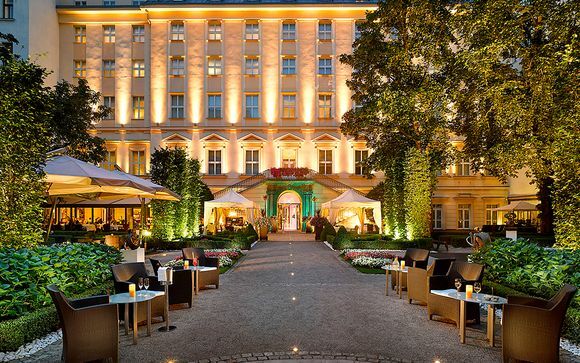 This 4-star hotel, just 2.4km from Charles Bridge, simply exudes French style and flair. It consists of 2 buildings with polished, suites and rooms that are fully equipped with minibars, Wi-Fi, satellite TV, and tea and coffee making facilities. The hotel is trendy, modern, and comfortable. This elegant hotel is aptly described as "refined" and is nestled within an outstanding art nouveau building. 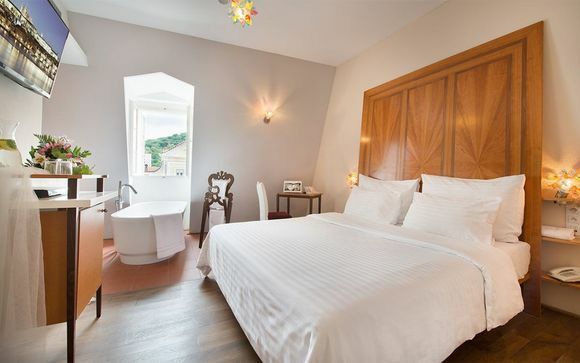 It is just 4km from Prague Castle and features rooms with exposed wooden beams, sitting areas, and phenomenal views of the Prague city rooftops. Within the hotel are a ballroom, bar, and sauna. This charming hotel is set in a picturesque cobblestone street in the Prague city centre, and within walking distance to main city attractions. The rooms and suites offer a relaxed, comfortable atmosphere with luxurious furniture. All guests can enjoy free Wi-Fi, access to the 24-hour fitness centre, sauna, whirlpool tub, bar, and casual-eating restaurant. Pets are allowed with prior arrangement. 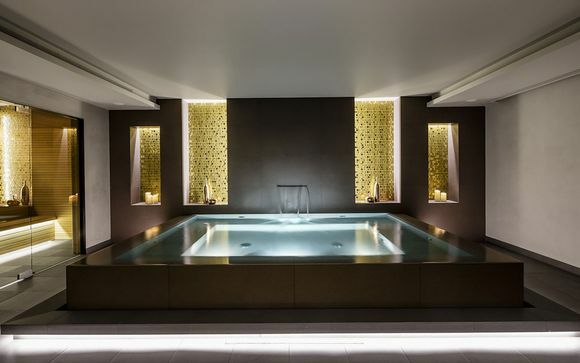 Voyage Prive hotel rental offers in Prague are ideal for all! Of course, when you visit Prague, you want to have an authentic experience. Prague is known for its magical appeal and our selection of hotel types offer every type of traveller the opportunity to experience that magic first hand. The following types of hotels/accommodations are available in Prague: art nouveau hotels, castles, bohemian style hotels, minimalist avant-garde hotels, heritage/historic building hotels, and even townhouse styled hotels. The accommodation options range from backpackers lodges to 5-star opulence. A good pair of walking shoes. Many of the areas are best experienced on foot. Most streets are cobblestoned which can be hard on the feet. Women are generally discouraged from wearing heels as it can prove difficult on the rocky roads. An umbrella and waterproof coat. Prague's weather is unpredictable all year round. It's best to be prepared. Luggage with big sturdy wheels (due to the cobblestones) and an empty backpack to use while sightseeing and exploring. Cross-body bag/purse - be careful of pickpockets. Personal care products and medication. While most Prague hotels will provide toiletries (soap, shampoo), you will feel much more comfortable using your own products. It might also prove difficult to find certain medications while travelling, so make sure that you pack what you need. At Voyage Prive, our travel experts are of the opinion that Prague is a worthy travel bucket list destination. Prague is renowned for its beautiful gothic architecture, its fine beer, and delicious traditional food. The city of Prague is not understated. 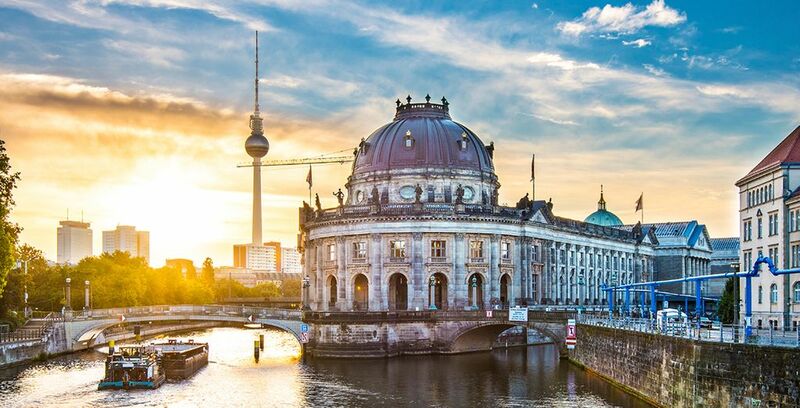 It is adorned with Baroque marvels, trendy pubs, castles, spires, and much more. Getting around is simple and affordable. 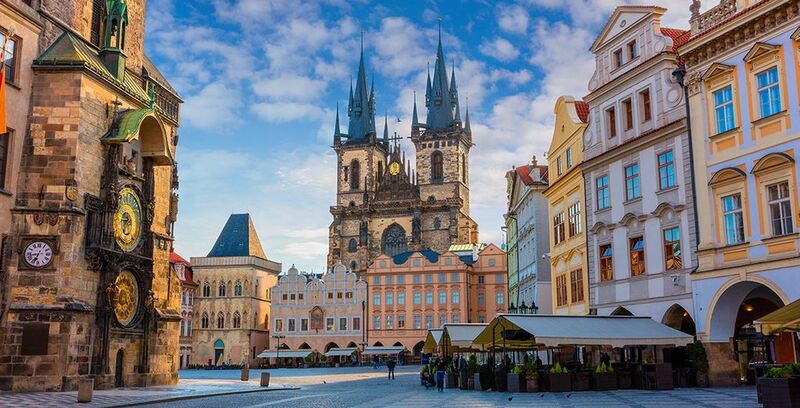 Whether you are spending hours exploring famous tourist sights such as the Old Town Square or Prague Castle or whiling away the hours in a vibey Czech cafe, time spent in Prague is time well spent! If you love to explore, we recommend that you set time aside to discover the following places in close proximity to Prague city: Cesky Krumlov (a Medieval town with authentic old-world charm), Karlovy Vary, Kutna Hora, Krivoklat Castle, and Terezin WW2 Concentration Camp. Prague Castle, which covers 70 000 square meters is in the Guinness Book of Records and dates back to the ninth century. This is the oldest bridge in Europe still in use (pedestrians only). Built between 1357 and 1402, the bridge has seen 30 years of war and survived many floods too. 30 statues of saints adorn the bridge. It's a must-see. Europe isn't cheap to travel, but Prague is! Prague is beautiful and filled with architecture, history, and art, yet it remains one of the cheapest travel destinations in the whole of Europe. It's quite affordable to stay at a 4-star or 5-star luxury hotel in Prague. The astronomical clock was installed in 1410 and is the oldest clock of its kind still in operation, in the world. Attend festivals, live music concerts, and events in the Naplavka area (Prague river boardwalk zone). Summer is a festive time in Prague and the entire city comes alive with various annual events. Winter is jam-packed with Christmas markets and Autumn sees a number of wine festivals too. Prague has proven itself time and again as a worthy destination for the soulful traveler. 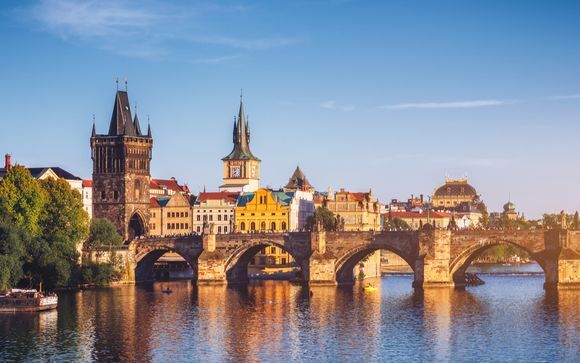 If you are looking for a European destination that offers history, art, architecture, interesting traditions, and a friendly local population, Prague is it! Take advantage of our special Prague hotel holiday packages and discounts and get yourself to Prague A.S.A.P. Discover all our offers to Prague : booking, holidays, weekends, last minute deals, travel guide.